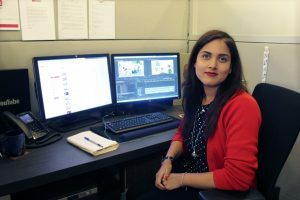 Meet Jayna Rana, a valuable member of our Digital Media team, who recently chatted with us about what it means to be a Digital Media Specialist and the importance of having a digital presence in this day and age. Although she’s an advocate for all things Digital, Jayna still enjoys more traditional forms of entertainment, like good ol‘ TV watching, reading and knitting! As a Digital Media Programming Specialist, my work primarily consists of creating and managing content for 9 Story’s YouTube channels. We have a whopping 53 channels encompassing 26 brands and 10 languages. I program 12 of them on a weekly basis, editing and uploading 1-3 videos per channel on a set schedule. What is the importance of having a digital presence in the industry? If you’re looking to increase exposure to a new brand or build a dedicated fan base, a digital presence, especially on YouTube, is a must. It’s a great promotional tool for broadcasters but also offers viewers an additional layer of entertainment. All of the big brands are there and it’s such a great way to connect and engage with fans of our shows on another level. What is your origins story? Aka, how did you get to where you are today in your career? As a child I lived and breathed cartoons. I remember wanting to watch so many cartoons at once that I often used the split screen function on my TV to jump back and forth between my favourite after-school shows. 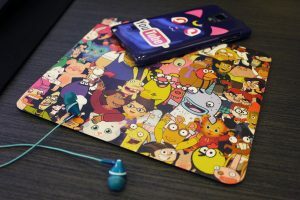 As I got older, I held on to my love for animated shows, exchanging my split TV screen for multiple browser windows, each with a different YouTube video of my favourites. I was always interested in kids’ media, but didn’t think I could make a career out of it. I liked to write so I ended up studying journalism in university. However the thing I enjoyed most at school was editing video in my broadcast class. In my final year I interned at Corus, writing for a women’s lifestyle website and posting short prerecorded videos to their YouTube channel. The best thing about that internship, however, was being on the same floor as Nelvana. I got to see a lot of the children’s entertainment side of the company. When that internship ended, I continued to freelance for Corus but realized I wanted to be more involved with entertainment for kids and sought out a way to learn more. 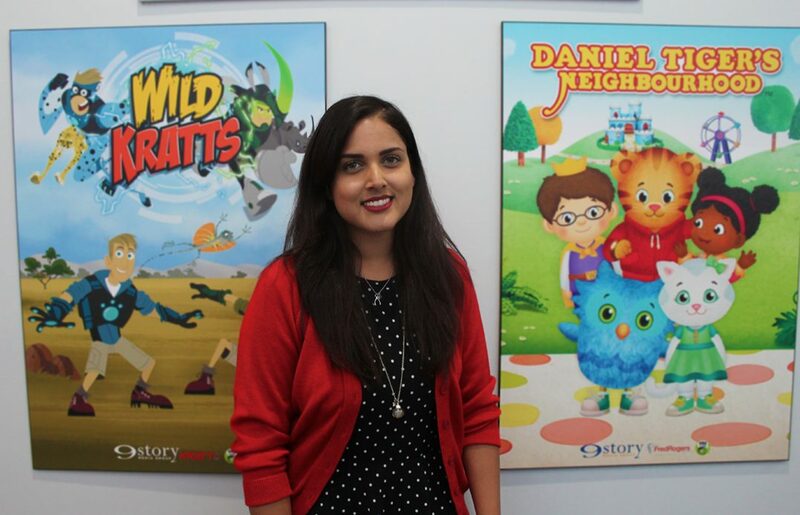 I took a one-year post-grad program in Children’s Media at Centennial College, where I learned everything from writing and production to business, marketing and digital media. 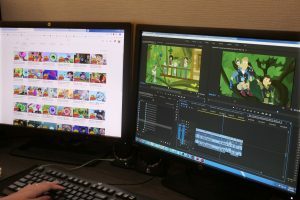 Through the program I got an internship on the digital team at 9 Story, where I was able to combine the editing skills I learned in journalism with my post-grad education and a long-enduring love for kids’ content. At the end of the internship, I was offered a position in Distribution to support the sales team. It was very different from what I had been doing all summer, but eager to learn as much as I could about all aspects of the industry, I accepted. One year later, a programming position opened up on the digital team. I applied and got it and here I am today, editing and making a career out of kids’ media, something I didn’t think was possible. What do you love most about your job and working in the animation industry? I’m not the most artistic person in the traditional sense (i.e. give me a pencil and I’ll draw a stick figure), but I do have a good editorial sense and a passion for digital media. I love that this job allows me to combine the two and get creative with children’s content. It’s an industry that allows you to be an adult but also hold on to all the wonder of being a child. Plus, who wouldn’t want to watch cartoons all day? What skills are required in your position on a daily basis? What parts of your role do you find most challenging? Launching a new channel can be a challenge, especially when you’re trying to increase viewership and build a subscriber base while still getting to know the brand and understanding what kind of content will resonate with the target audience. Sometimes it can be hard to find new ideas for videos every week (and in some cases, 2-3 times a week), especially if the show you’re working with has a very small number of episodes. However, it makes for some great brainstorming sessions and really forces me to flex my creative muscles. What tools and programs do you work with most these days? I use Adobe Premiere Pro on a daily basis to edit all of our videos. I also use Photoshop to create channel art, including banners and thumbnails. What advice would you give someone who is pursuing a similar career path? I would say get as familiar as you can with the back end of YouTube. Start a channel and have a crack at editing and uploading your own videos — just make sure it’s not copyrighted material! 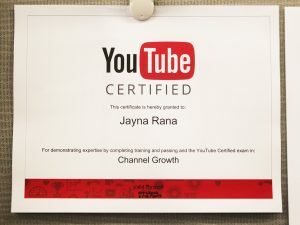 A YouTube certification or two are also good to have under your belt. The courses provide a wealth of useful information and tips that you’ll find yourself referring to on the job. So what are your “words to live by”? Whether it’s Wayne Gretzky or The Office’s Michael Scott saying it, I genuinely like to live by the notion that “you miss 100% of the shots you don’t take.” A major part of my career path has involved being open to new and different opportunities, even if they seem unconventional or a far stretch from the path I’m already on. I’m glad I took a shot and switched from journalism to children’s media, or I would not be at 9 Story today. It probably goes without saying when you’re in this industry, but I love watching TV shows, especially fantasy and sci-fi series. I have a twisted notion that it’s easier to watch an entire season of 22- or 45-minute episodes than sit through a two-hour movie! I’m also an avid reader and a decent knitter but have yet to master the sweater. For now it’s just hats and scarves!